Florence (Floss) Eckert Chillas of Lancaster, PA passed from this life to the next on Thursday, May 24th after 92 years, too soon for all the family and friends that loved her. She was the daughter of the late George W. Jr and Rella May (Ott) Eckert. Floss was married to the late Kenneth William Chillas, who died in 2006. She was the bookkeeper for The Hamilton Club for 27 years until she retired in 1996. She was a long time member of Trinity Lutheran Church in Lancaster until, later in life, she became a member of The Lancaster Church of the Brethren. She enjoyed her family, especially her grandchildren and great grandchildren. She also enjoyed her trips to the “caseenahs” (casinos), lottery scratch offs and playing bingo. For her 90th birthday on April 19, 2016 over 100 family and friends celebrated with a gathering at the Community Center in the Pheasant Ridge Community where she resided and made many friends for 12 years after her husband died. Her most recent home was in Washington 3 at Masonic Village in Elizabethtown, PA where she received excellent care, made friends, played in the bell choir, participated in many activities including bingo and went on multiple outings. Floss is survived by a daughter, Sherry, wife of Phil Allamong of Quarryville; and two sons, Kurt husband of Sandra (Deaner), Carl husband of Donna Kay (Steele), and daughter-in-law Debra (Reedy) Chillas, all of Lancaster. 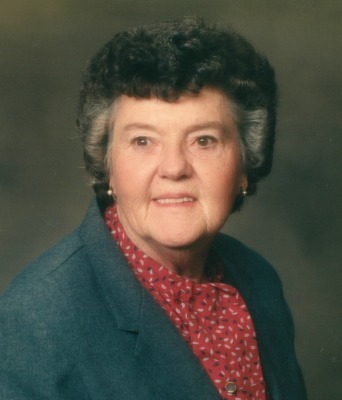 There are nine grandchildren: Amanda (Allamong) Tice, Jodi (Allamong) Barshinger, Jessica (Chillas) Gordon, Casey (Chillas) Squires, Jennifer (Chillas) Balmer, Kurt Chillas, Courtney (Chillas) Trump, Stephanie Chillas and Ryan Chillas and twelve great-grandchildren that all lovingly call her Nan. In addition to her husband, Floss is predeceased by her son Gary Chillas, her sister, Betty J. Good and her brother, George W. Eckert, husband of Elanore Eckert of Lancaster. We will all remember the amount of love and joy we have experienced with this very special lady and remember the full life and unmeasured happiness she was able to enjoy as her kids grew to have their kids, followed yet by those kids having kids, all as a result of her. Memories will always be there for us to reflect, laugh, and feel those happiest of moments again and as often as we choose. From birthday parties to sleep overs to picnics at the pool, her love for the “caseenahs” (casinos), apple pies, sand tarts, and on and on and on. A funeral service will be held on Tuesday, May 29, 2018 at DeBord Snyder Funeral Home & Crematory, 141 E. Orange St, Lancaster, PA 17602 preceded by a viewing beginning from 10:00 AM until the beginning of the service at 11:00 AM. In lieu of flowers, donations may be made to the Lancaster Church of the Brethren Youth Work Camp, 1601 Sunset Ave, Lancaster, PA 17601. We are very saddened to hear of the loss of Nan. She treated us just like family every time we seen her. May she sleep peacefully. Heaven received a loving, fun, and classy lady the very moment she was promoted from her earthly life to touch the face of God. You will always have her with you as you look at your siblings, children, and grandchildren. Many memories of your parents are forever etched in my heart. Reflect on your memories often and find comfort knowing we will see her again some wonderful day. I am deeply sorry for your family’s loss of Florence. May you find comfort in the many precious memories you shared as well as God’s promise to restore our dear loved ones to perfect life on a paradise earth. As you contemplate this promise, draw close to God in prayer and he will draw close to you and provide the needed strength to carry you through the difficult days ahead. All the best wishes for your family at this time, take care. Sorry for your loss. I only met “Flossie” a few times and one was on a trip to the “caseenaha” and I remember that her smile never left her face> She had such a great time that day. Fond memories are also of Kurt recounting fun times with her. Our Deepest Sympathies for your loss to Carl and Donna and families in the passing of your loved one. May she Rest in peace.